This past week at the pleasure of meeting Makoto & Yuka; a young couple from Japan full of life and love enjoying their honeymoon in Bora Bora. Not only I had the pleasure meeting them but they had hired me to take photos of them while flying to Tupai. 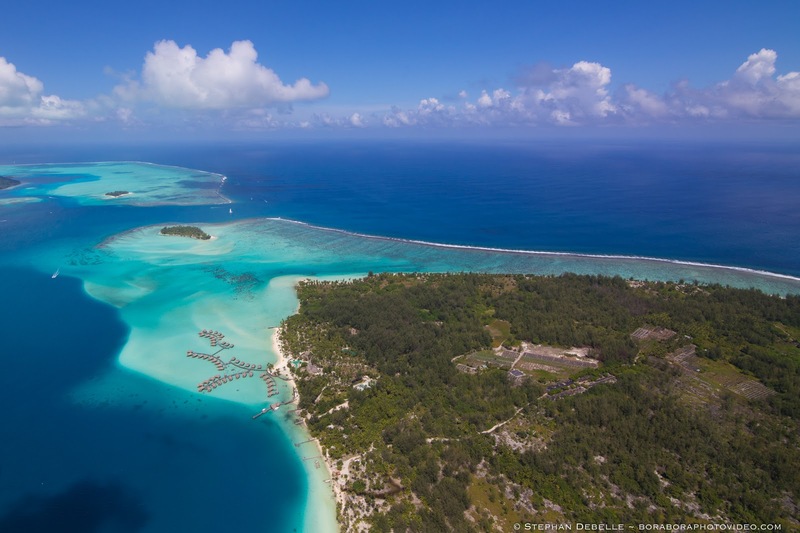 Tūpai, also called Motu Iti, is a low-lying atoll in Society Islands, French Polynesia. It lies 19 km to the north of Bora Bora and belongs to the Leeward Islands (Iles sous le Vent). This small atoll is only 11 km² in area. Its broad coral reef encloses a shallow sandy lagoon. There are almost continuous long woodedmotus on Tūpai's reef. Tupai has no permanent residents apart from some workers in the coconut plantations. There is a private airfield on Tūpai. It was inaugurated in 2001 and its use is restricted. 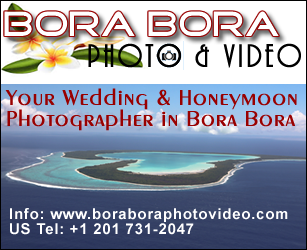 This is something I get to do once in a while and each time I am blown away by the natural beauty of Bora Bora and Tupai! 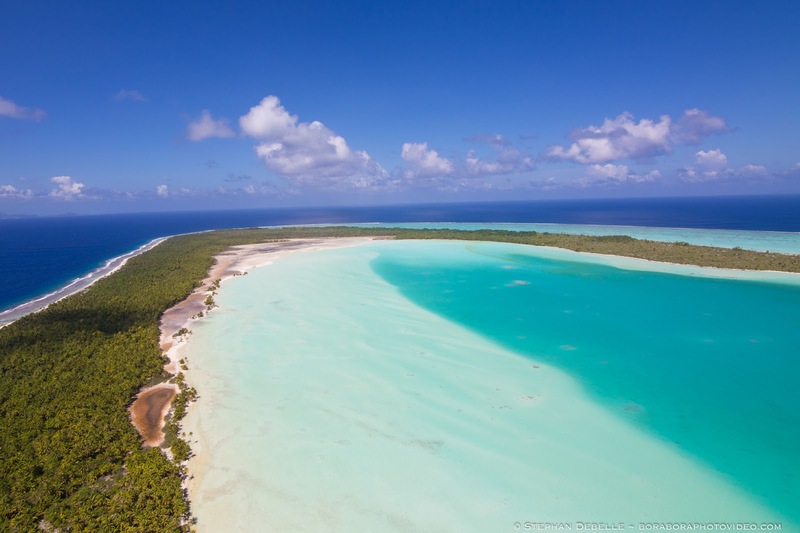 Seeing it from the Sky gives you such an amazing perspective of the Deep Blue South Pacific and the contrast of the different Turquoise shades of the Lagoon! It was their first time flying in a Helicopter and I am sure that this trip will make for life long memories! 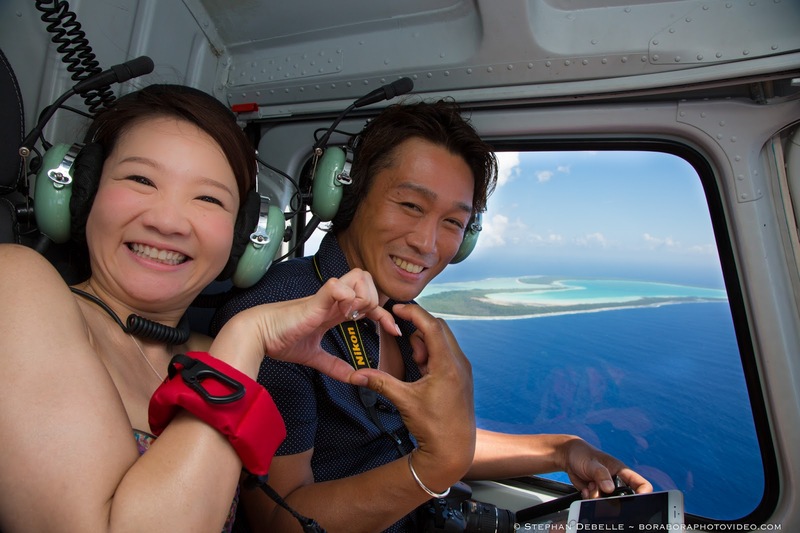 The plan was to Fly to Tupai from Bora Bora, about a 10-15 mins flight and try to capture the Heart Shape Atoll of Tupai through the window. Once there, we had about 30 mins on the beach where they enjoyed a champagne toast and had fun taking photos! The flight back was equally amazing with a stunning view of the Lagoon of Bora Bora and Mt Otemanu!